Remarkable Marketable Me: Ringside: The Ruelas Brothers ~ In life you are going to make mistakes. It's what you do with the lessons you learn that counts. Ringside: The Ruelas Brothers ~ In life you are going to make mistakes. It's what you do with the lessons you learn that counts. Ruelas won the NABF Super Featherweight title in 1991 by defeating Eduardo Montoya with a knockout in the first round and putting him in line for the WBC title. The opportunity came at 22 yrs. old when he faced Azumah Nelson in Mexico City in 1993. Ruelas and Nelson battled the entire 12 rounds but he would lose by a close margin, it could have gone either way. He was now noticed around the world as a super featherweight contender to be dealt with, Ruelas continued with five more fights before earning another shot at the WBC Title. The stage was set at the MGM Grand in Las Vegas when Ruelas met Jesse James Leija for the title in 1994. The two great fighters battled back and forth, Leija knocked down Ruelas early and that sparked a fire in Ruelas that would send Leija to the canvas not once, but twice. Ruelas continued to rack up the points and captured the WBC Super Featherweight Title before a packed house and those watching on Showtime/PPV, a fight that Ruelas said was his greatest ever. Gabriel Ruelas defended the title twice more. 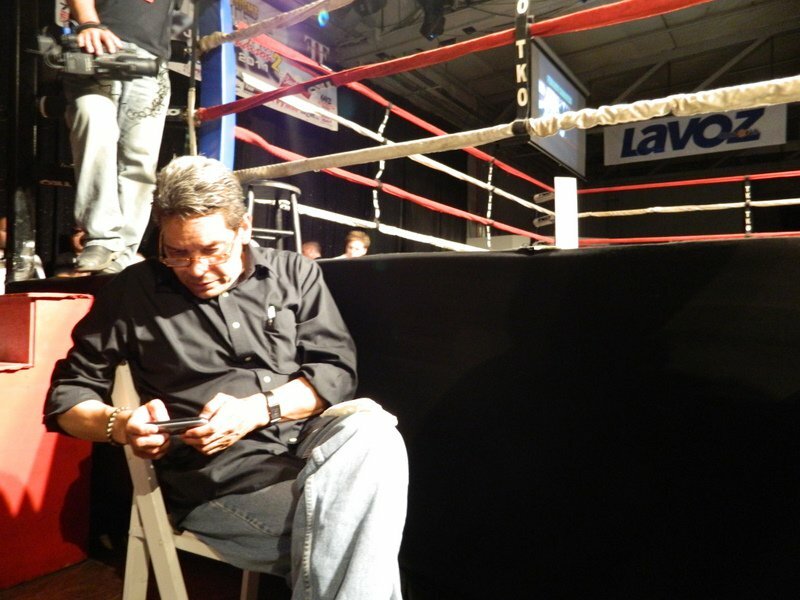 His life changed forever when he fought Jimmy Garcia of Columbia in the spring of 1995. Ruelas, at that time was a true pro with speed and power behind his punches, Garcia, who had been beaten by the late Genaro Hernandez a few months earlier was no match for Ruelas. Garcia took a beating most of the fight then in the 11th round was knocked out and sustained a serious head injury. The fight ended officially as a TKO in the 11th round. 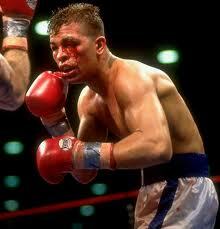 Tragically, Jimmy Garcia died nine days later from his injury, Ruelas was devastated and considered giving up boxing. He was never the same again boxing wise and donated part of his earnings from his fights to the Garcia family. He would lose the title in a rematch against Azumah Nelson in 1995, He clearly was not the same fighter. 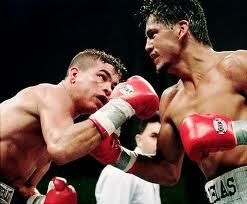 In 1997 Ruelas fought the late Arturo Gatti in a fight that would end in the fifth round by way of tko in favor of Gatti. It was also Ring Magazine’s round of the year. 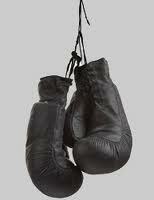 Ruelas then went on to fight eight more times before hanging up the gloves in 2003. 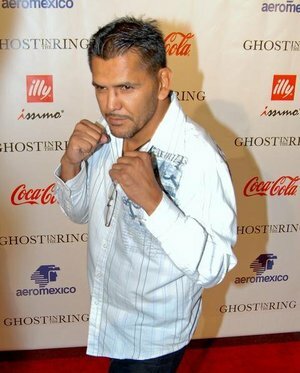 One can not argue that Ruelas was truly one of the great fighters of our generation and one has to wonder what his career would have been like had he not lost his will to fight after the Jimmy Garcia bout. We as boxing fans were blessed to witness him and his brother Rafael become champions, I mean think about it, his family leaves the poverty of his birthplace in Mexico for the United States and experiences the American dream. Gabriel Ruelas is 41 yrs. old now and lives in Los Angeles, and has two sons, ages 17 and 13. He went through some rough times after the glory and the lights faded, he said he was "drinking alot" and was "feeling down on himself". He was very honest and admitted he made some mistakes and you have to respect him for that. Many of the people that surrounded him, who he thought were his friends when he was champion, also faded into the sunset. Sound like another boxing star fallen on hard times story? Wrong! Like all great champions, they bounce back. Ruelas said he has been sober for five months now and has the desire to give back and get back into boxing. He wants to start a gym and give back by working with kids, keeping them off the streets, teaching them boxing skills and structure. Maybe take on a few fighters and teach them the values and dedication he experienced growing up. If you think about it, you train your whole life to have a career like his and a career that few fighters ever get to experience. I’m pretty sure that an owners manual for "life after boxing" does not exist, you never think about training for the end of your career. This true champion known as Gabriel Ruelas has figured it out though, he picked himself up, dusted himself off and decided to make a change by giving something back. How great is that? He supports The Veterans of Foreign Wars(VFW), he said that some of his real friends that did go to war came back injured or disabled, "they are the true champions". As for his brother Rafael, Gabriel said he is doing well working in the valley with his brother in law. This story is not over, it will be continued, there was much more we talked about. This writer will report on his progress with his life and the plans for his gym at a later date. He is truly a great champion at life now. Thank you Gabriel Ruelas for the great fight memories. 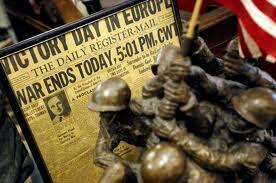 Click on the link above to see the VFW main page! Simply put, the VFW strives to do good things for deserving people; particularly veterans, their families, and their communities. From local grassroots ideas to national influence, we work everyday to make a difference. It's our strength as an organization. And, with each individual membership, we only grow stronger. The VFW strives to provide each individual service member with the real support they need and deserve. The programs offered through VFW National Military Services (NMS), aim to lessen the burden on the men and women who are sacrificing so much to keep us free. Helping military families weather long deployments through free phone time and military family activities, as well as providing emergency financial assistance to those experiencing a dire financial situation are just a few of the ways VFW works to support our brave men and women. We've been there. We understand. The VFW was founded for one, single purpose: to assure those who’ve protected our country are protected in return. This protection comes in the form of programs, standing up for veterans rights in Washington, D.C., and reaching out with help in communities across America. The hard truth is, we can’t do this without your generosity. Thanks in advance for your consideration. Click on the program you would like to donate to. The VFW’s National Military Services (NMS) is the driving force behind our troop and family support efforts. Home to the ever-popular, ever-vital VFW Operation Uplink™ program, the Unmet Needs program and the Military Assistance Program (MAP), NMS has made a significant impact in the lives of millions of service members and their families. Each year, hundreds of thousands of students participate in the VFW’s Voice of Democracy (VOD) and Patriot's Pen audio-essay competitions. Created to foster patriotism among our nation’s youth, VFW scholarship programs award winners more than $3.4 million in scholarships and incentives as well as an all-expense-paid trip to Washington, D.C.
Each year, our nationwide network of VFW Service Officers assist more than 120,000 veterans nationwide. From assisting veterans in filing for disability compensation to requesting hearings before the VA Board of Appeals, these skilled professionals garner over a billion dollars in compensation benefits for veterans annually. Sometimes a simple phone call home is the best morale boost for a deployed soldier. Each month, VFW’s Operation Uplink™ program hosts “Free Call Days” during which soldiers can call home free of charge. To date, Operation Uplink has provided more than 4 million free calls home for soldiers and hospitalized veterans. Unmet Needs helps to meet the critical needs of service members and their families who experience a sudden financial hardship, oftentimes during a deployment. To date Unmet Needs has provided more than $3.5 million in emergency financial grants to military families across the nation. The Military Assistance Program (MAP) is the outstretched hand from the VFW to military units. MAP offers grants to VFW Posts that participate in military unit functions, such as sponsoring "Farewell and Welcome Home Activities," "Family Readiness Group" events or other sponsorship ideas. Among all the flowers that evoke the memories and emotions of war is the red poppy. Since 1924, VFW Buddy Poppies have been assembled by disabled and needy veterans in VA hospitals. The Buddy Poppy program assists in maintaining state and national rehabilitation and service programs for veterans.